MADURAI: Educational institutions cannot hold back mark sheets, convocation certificates, course completion certificates or transfer certificates of students for non-payment of fees, the Madras High Court has ruled. Disposing of a writ petition filed before the Madurai Bench, Justice K. Suguna said the academic certificates could not be termed ‘goods’ to enable the educational institutions to withhold them. She pointed out that the Supreme Court, in R.D. Saxena vs. Balram Prasad Sharma (2000) case, had taken a view that a lien (right to possess property of another person until a debt owned by the latter is discharged) could be exercised only on marketable goods. The Judge agreed with the arguments advanced by advocate G.R. Swaminathan that academic certificates were not saleable commodities, and hence could not be retained for non-remittance of fees. Counsel had voluntarily assisted the court though he was not representing any of the parties. The petitioner, R. Pushpa Latha of Kanyakumari, said a private college of teacher education refused to issue academic certificates to her even after completing the Bachelor of Education course. She alleged that the college demanded more money despite receiving the entire course fee without issuing any receipt during admission. On the contrary, the college claimed that the petitioner had not paid the fees and owed Rs.35,000. Contesting the claim, petitioner’s counsel A. Dennison said her client would not have been permitted to appear for the examination without paying the fees. Ms. Justice Suguna also said that a writ could be issued against private institutions performing a public duty, though they do not fall under the definition of ‘State’ under Article 12 of the Constitution. She pointed out that the proposition was laid down by a Full Bench of the Punjab and Haryana High Court in 1998. The Hon’ble High Court of Delhi in CWP No. 813/2004 vide its order dated 06.09.2004 had set up a Committee to examine the provisions of Transplantation of Human Organs Act, 1994, and the Transplantation of Human Organs Rules, 1995. The report was submitted on 25.05.2005. 1. To empower Union Territories, specially Government of NCT of Delhi to have their own appropriate authority instead of DGHS and / or Additional DG (Hospitals). 2. To make the punishments under the Act harsh and cognizable for the illegal transplantation activities to deter the offenders from committing this crime. 3. To provide for registration of the centres for removal of organs from the cadavers and brain stem dead patients for harvesting of organs instead of registration of centres for transplantations only. 4. To allow swap operations between the related donor and recipients who do not match themselves but match with other similar donors / recipients. Sale / purchase of human organs is already prohibited under Transplantation of Human Organs Act, 1994. Appropriate authorities established under this Act are responsible and empowered to check the illegal activities of human organs trafficking. A Clinical Establishments (Registration and Regulation) Bill 2007 has been introduced in Lok Sabha on 30.08.2007. The Bill seeks to provide for registration and regulation of clinical establishments in the country. National Council for clinical establishments has been set up to determine the standards for clinical establishments, classify the clinical establishment into different categories, develop minimum standards and their periodic review, compile, maintain and update a national register of clinical establishments, perform any other function determined by the Central Government, from time to time. The Allahabad High Court has quashed a government notification allowing MBBS/BDS graduates of only UP medical colleges to appear in the UP Post-graduate Medical Entrance Examination, 2004. The court refused to cancel the examination and issue a mandamus for fresh tests saying it will lead to complications. The notification of November 19, 2003, modified by an order of December 15, 2003 allowed for 75 per cent of seats to be filled by the UPPGMEE qualifiers, leaving only 25 per cent seats to be filled by those qualifying the all-India Post-graduate Medical Examination. Justice DP Singh observed that the notification providing for 100 per cent institutional reservation, issued under section 28 (5) of the UP State Universities Act, was violative of Article 14 and 21 of the Constitution. Justice Singh further directed the state to frame guidelines providing maximum 50 per cent institutional reservation for various medical colleges and the universities of the state of UP for admission to UPPGMEE and in the rest 50 per cent seats, candidates who are residents of UP and others may be admitted. The state government cannot directly or indirectly deprive the candidates who are permanently or otherwise residing in the state of UP from admission to UPGMEE even if they have studied outside UP unless the institution from where they got their medical degree has been derecognised, the court added. Justice Singh remarked that the rules, regulations or orders issued in pursuance of power conferred under section 28 (5) is a sub-ordinate legislation hence it could not be issued in contravention of the provisions contained in the Act itself. There is no such provision of providing 100 per cent institutional reservation in the Act, he added. However, the above order was made applicable only to those petitioners who had appeared at the UPPGMEE -2004 following the court’s interim order. 11-2007 and quash the same as illegal. 9.11.2007 passed by the respondent in his proceedings R.No.47018/E5/A3/06. Service during 2003-2004, conducted by the Tamil Nadu Public Service Commission. P.G. course and he can join in service after completion of the course. very same ground as stated supra. 4. Heard the learned counsel for the petitioner. approved list without assigning any reasons therefor. notice that on their selection, they will not be permitted to undergo P.G. Course within a period of two years, excluding the leave. order, is the question to be decided in the present writ petitions. join in the post of Civil Surgeon within seven days cannot be sustained. stated in the notification, no one can claim relaxation as a matter of right. respondents cannot withdraw the relaxation granted earlier, is not sustainable. the said vacancies are sought to be filled up from the reserved list. the said writ petition was at the instance of reserved list candidates. their selection and therefore those posts shall be treated as vacant posts. kept vacant till the petitioners complete their P.G.Degree/Diploma Courses. guaranteed under Article 21 of the Constitution will be seriously prejudiced. death by negligence to tantamount to legal punishment. has emphasised and reiterated with gradually increasing emphasis that position. soon become aware of the position." guaranteed under Article 21. ...."
list candidates are available to join duty immediately, on their selection. placed in the reserve list are willing to join duty immediately, if selected. Bench of this Court in the decision reported in 2006 WLR 574 (Dr.M.Vennila v.
rules and norms of the prospectus are to be strictly and solemnly adhered to. prevent avoidable prejudice to other applicants at large." themselves for selection after accepting all the terms and conditions. assessment on confidential report. ......."
allowed. It is accordingly dismissed but without any order as to costs." also. They were not responsible for the conduct of the examination." relief to such a petitioner." miscellaneous petitions are also dismissed. 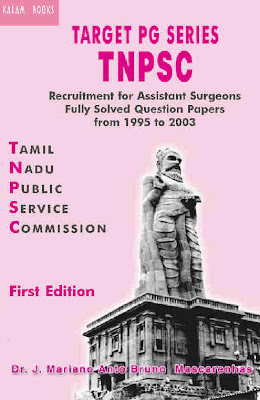 MADURAI: The Madras High Court has paved the way for filling 469 vacancies of Assistant Surgeon in primary health centres (PHCs) across the State as it held invalid the relaxation granted for candidates selected in 2006 to join duty after completing their post graduation/postgraduate diploma course. Dismissing a batch of writ appeals filed before the Madurai Bench by a few doctors, the First Bench, comprising Chief Justice Ajit Prakash Shah and Justice S. Nagamuthu, said the then Director of Public Health and Preventive Medicine was not empowered to grant such relaxation. The Judges said the post of Medical Officer in primary health centres could not be kept vacant till the appellants completed their post-graduation. Filling of vacancies had to be done by the State on a priority basis as it was the paramount duty of the government to look after the health of the general public, especially the poor and the needy. “In every Government Hospital, doctors shall be present at all times to attend to emergency cases. If the posts of doctor are not filled in time, the general public will be largely affected and their right to health, which forms part of basic human right guaranteed under Article 21 of the Constitution of India, will be seriously prejudiced,” the Bench observed. It pointed out that the advertisement calling for applications to the post of Assistant Surgeon had categorically stated that the selected candidates should join duty within 30 days and no extension would be granted if they were undergoing postgraduate courses. “Having applied for selection by accepting the said conditions, it is not open for the appellants to seek extension of time,” the Judges ruled. The appellants approached the court after the Director of Public Health issued a notice on November 9, 2007, directing them to report for duty within seven days failing which their names would be removed from the selection list. Justice K. Chandru dismissed all the writ petitions and hence the present writ appeals. Soliciting of patients directly or indirectly, by a physician, by a group of physicians or by institutions or organisations is unethical. A physician shall not make use of him/her (or his/her name) as subject of any form or manner of advertising or publicity through any mode either alone or in conjunction with others which is of such a character as to invite attention to him or to his professional position, skill, qualification, achievements, attainments, specialities, appointments, associations, affiliations or honours and/or of such character as would ordinarily result in his self aggrandisement. 2. On change of type of practice. 4. On temporary absence from duty. 5. On resumption of another practice. 6. On succeeding to another practice. 7. Public declaration of charges. Printing of self photograph, or any such material of publicity in the letter head or on sign board of the consulting room or any such clinical establishment shall be regarded as acts of self advertisement and unethical conduct on the part of the physician. However, printing of sketches, diagrams, picture of human system shall not be treated as unethical. New Delhi: Confronted by inadequate space to store voluminous records in the context of mounting arrears of cases, the High Courts and subordinate courts have decided to outsource the management of court documents. A decision to this effect was taken recently at a conference of Registrars-General of High Courts and Law Secretaries of various State governments. It said: ``Since space is a constraint for keeping the old records in High Courts and subordinate courts, the High Court may consider preservation and maintenance of court records by digitisation and scanning, through outsourcing, which will not only save cost but also time. The State Governments should provide funds required for digitisation and scanning of court records.'' Another drastic decision empowered the High Courts to consider outsourcing various services relating to maintenance of court buildings so as to minimise the expenditure and bring efficiency. The process of computerisation in High Courts and district courts with emphasis on interlinking status reports of each case should be continued by the High Court concerned independent of the National Informatics Centre and E-Committee with the help of funds provided by State governments. On streamlining of issue of copies of judgments and various orders, it was decided that a computerised endorsement about the particulars of filing of the applications was sufficient for issue of copies. At present judges to the High Court are appointed in the ratio of two-third (of the strength of judges) from among lawyers and one-third from among the district judges. The meeting requested that in future the ratio should be 50:50 from the bar and the subordinate judiciary. It called for conferring limited financial autonomy on the High Courts and involvement of professionals in the financial management of the High Courts and district courts. The conference decided to have a vigilance cell in each district, to be headed by a senior judicial officer to keep effective control on the court staff and to regularly monitor their activities so that the image of the courts was not tarnished in the eyes of the public. It was resolved that the High Courts might consider accreditation of reporters from various newspapers and electronic media on the pattern of the Supreme Court so that the reporting in the media was true and accurate.